Love is in the air and you can find your special someone over at engineering. 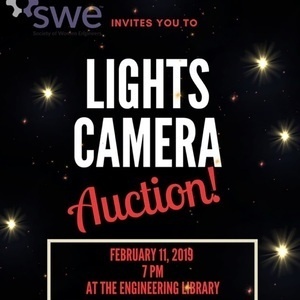 Join SWE for our Lights Camera Auction mixer event where a silent auction will take place for several lovely ladies and lads. Bring a smile, a friend, and an open mind!